As pink was gaining popularity over the past few years, it’s no wonder the hue has even made its way into this season’s holiday décor palette! Usually, shades of pink, such as fun bubblegum, bright coral, and traditional rose are used to add soft, feminine touches. However, pink has made a big comeback and now it is an exciting choice for modern interiors. 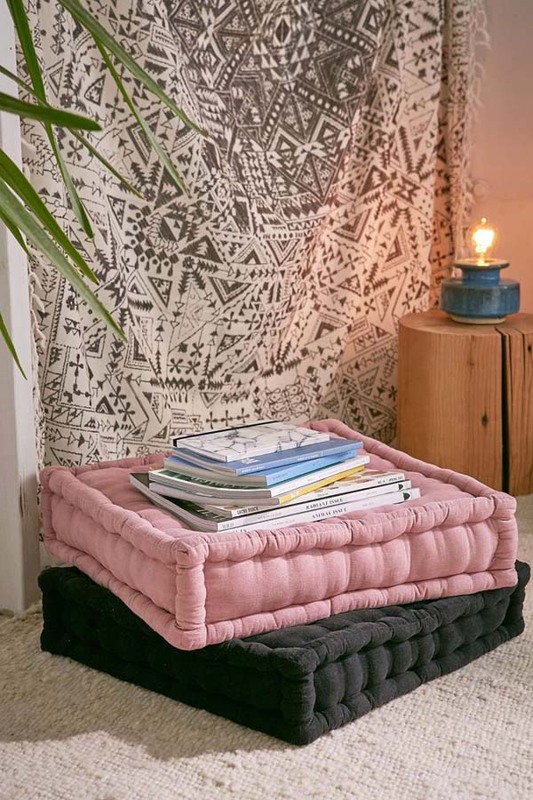 Whether a statement couch or an accent wall, a bold piece of art or eye-grabbing accessories, there is an array of options to use pink in your living space, indoor and outdoor. After all, even an arrangement of pink flowers, especially roses, can make a lovely accent in an otherwise neutral space. Do you dare to use pink? 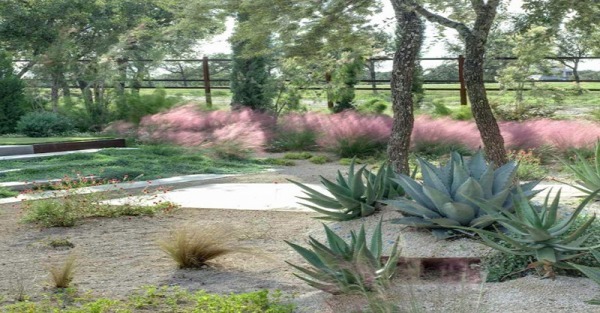 If so, find some truly inspirational ideas how to give pink an unexpected twist! Painting an accent wall pink is a great way to incorporate a large dose of pink into any interior. When a soft, blushing shade is used, it can be highlighted by edgier décor. 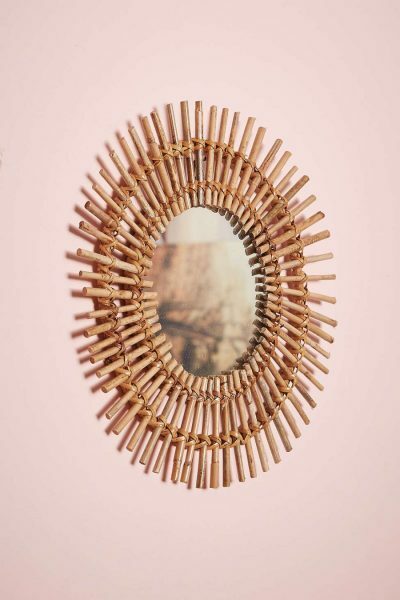 Look at the stunning woven mirror in the picture above! Since they are an ideal backdrop for eye-grabbing tableware, especially pieces in brass and copper tones, pink tabletops are another option to introduce large doses of pink. When it comes to textiles, it’s definitely time to opt for pink! 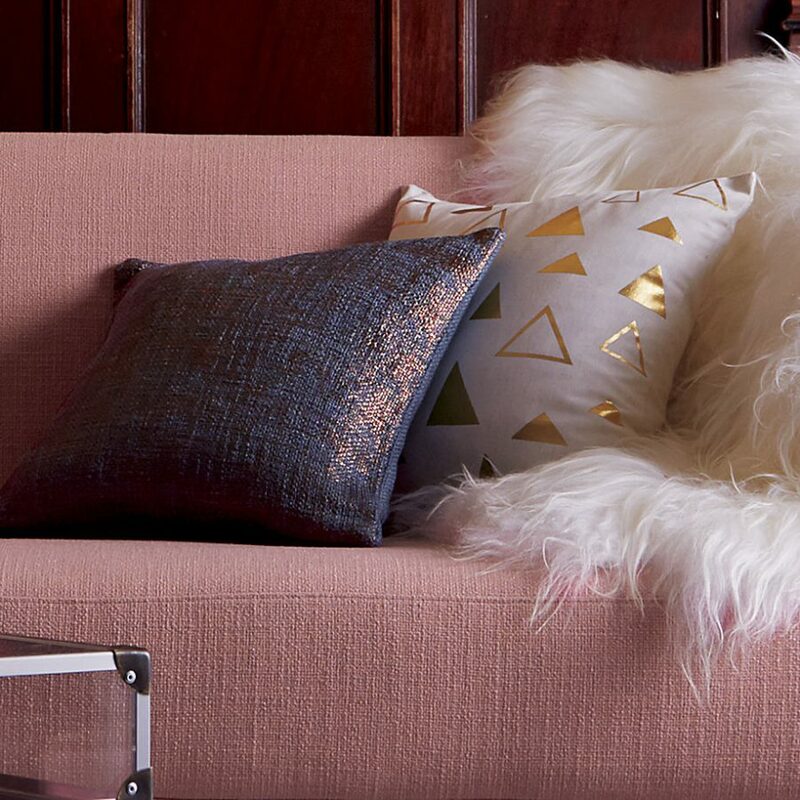 Going bold with a pink couch or adding only pillows in different hues of pink? Would you dare with an extraordinary sofa color? Look at the above-shown tufted floor pillows! Isn’t it a gorgeous way to bring pink into any interior? These soft, oversized pillows can definitely be a gorgeous addition to any interior or exterior space. 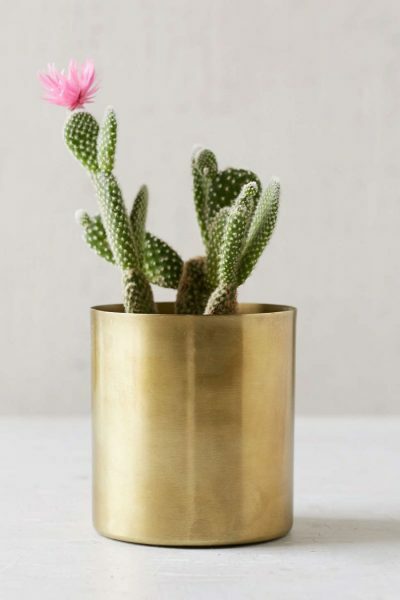 Plants make it possible to add small doses of pink to your interior. This flowering cactus is a modern greenery statement with a soft touch. Let’s focus on some small pink accents in the form of accessories! 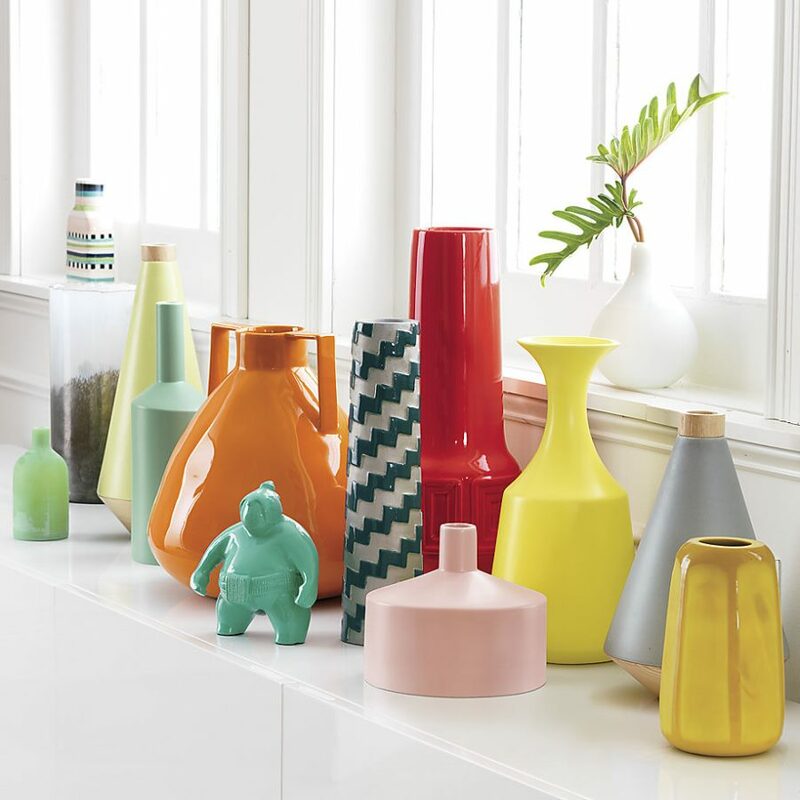 Gorgeous colorful vignette, don’t you think! Another option is mixing rose quartz with other minerals. Pink, lavender, and mint make an eye-grabbing modern combo, don’t they? 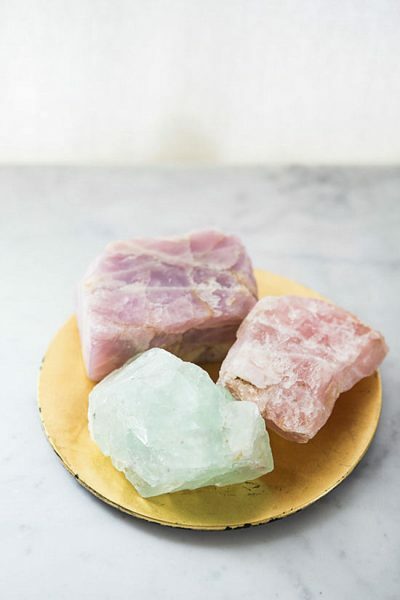 Note that rose quartz works well in modern interiors, especially when geo forms are involved! 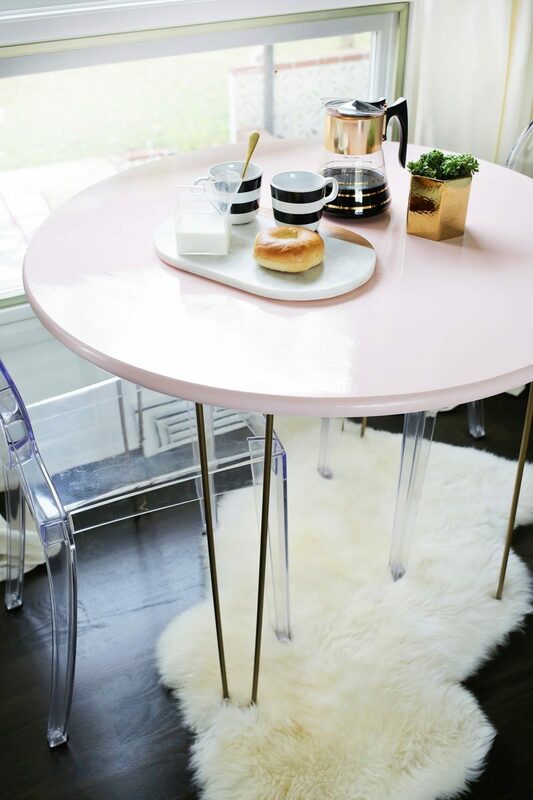 Are you ready to add pink accents to your living space?